entrepreneurs turn their business idea into a real, live business. We offer a 6-month pre-accelerator program tailored to help entrepreneurs test and develop their ideas, understand their customers and market, and build a minimum viable product at the end. The pre-accelerator program offers mentoring, introductions to our professional and business networks, a chance to listen and connect with other successful entrepreneurs, meeting with industry mentors and other support services like accounting, legal and office space. Since our launch in 2016, we’ve helped 66 migrapreneurs (as we like to call them) start over 15 successful businesses. Our professional community has over 500 advisors and investors, who help these migrapreneurs with advice, support and forming valuable business connections. Catalysr came about through my own experience of looking for a professional job here in Australia. 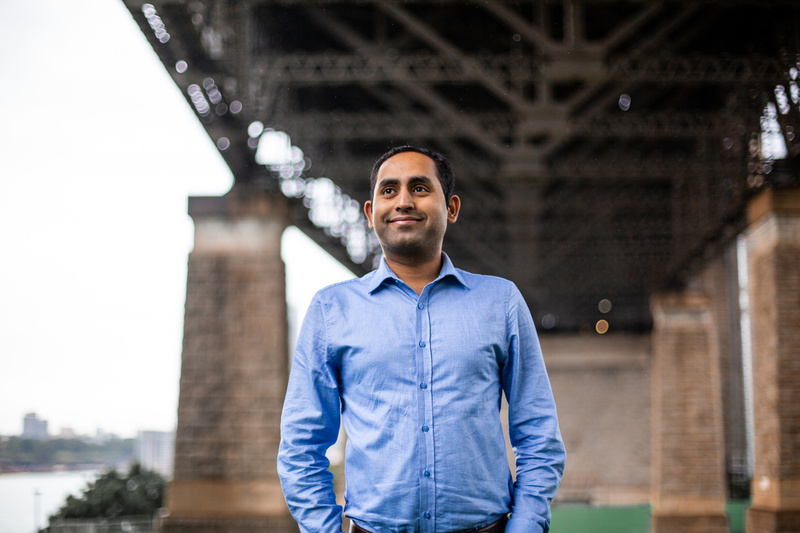 I came to Sydney from Pakistan to complete a Masters in Engineering Management. I chose Australia because of its good quality of life and fantastic universities. I had heard positive experiences from friends who had migrated to Australia previously. 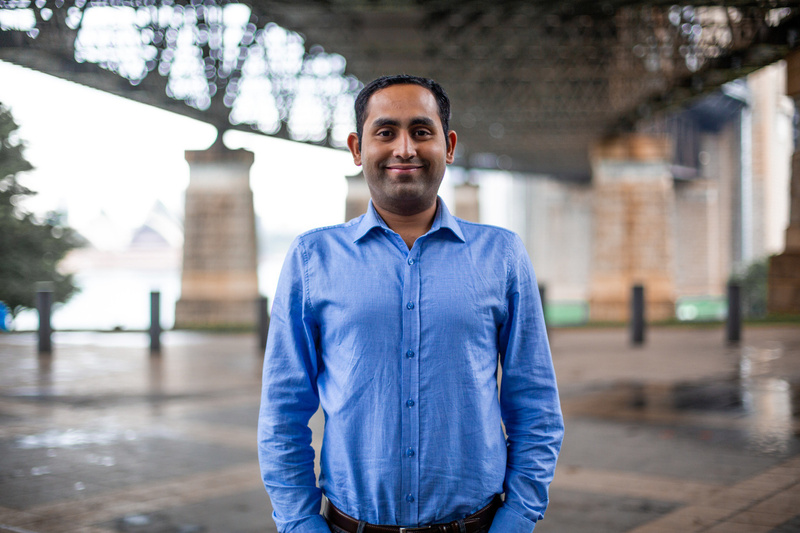 I arrived in Sydney on my own in 2013, leaving family and friends behind. After graduation, I spent 2 years looking for an engineering job while working casual jobs at places like BP service stations. I had a good command of English with work experience from Pakistan but still found it difficult to get meaningful employment in Australia. Some recruiters told me I needed local work experience, others I never heard back from. I never quite found out the real reason why I couldn’t get a permanent job and eventually I gave up. Instead, I focused my efforts into starting my own business. I was accepted by the School for Social Enterprise Australia - Citi Youth Launchpad in Parramatta, where I met Jacob Muller, who ended up being the co-founder of Catalysr. We got to talking about my problem and realised that if I, with my qualifications and experience found it difficult to get work, there must be other people experiencing the same challenges. Our research showed that over 60 percent of migrants and refugees are either unemployed or underemployed in their first 5 years of migration to Australia. Jake and I decided to start a company that encouraged migrants to start their own businesses. It became clear to me that applying online for jobs simply didn’t work - a professional network was so important in finding full-time work. For migrants, these connections take time to build. Catalysr provides a ready-made network accessible to the entrepreneurs in our program, connecting them on a needs basis depending on where they are in their business. What drives me professionally is a desire to do meaningful work, give back and support others. Personally, I like challenges that help me grow intellectually and as a person. What do I love most about Australia? My answer would be what’s there not to love? It’s an amazing country, with a great climate, nice people and a free society. You really have freedom to do what you want. There’s acceptance and tolerance for different beliefs and ideas. I love everything about it. See the other stories here.